With one year to go, Japan 2019 is on track to be the most impactful Rugby World Cup to date having already attracted 900,000 new rugby participants as part of World Rugby's ambitious 'Asia 1 Million' legacy project. Japan 2019 marks the first time the world's third-largest sports event will be hosted in Asia and every effort is being made to maximize this once-in-a-lifetime opportunity to grow the sport in the region. The opportunity to reach and inspire millions of new rugby fans across the world's most populous and youthful continent was a key motive behind World Rugby's bold decision to bring the Rugby World Cup to Asia for the first time. The outstanding progress towards the 'Asia 1 Million' target is testament to the huge opportunity that exists for rugby across Asia, and thanks to the close partnership of Asia Rugby and the Japan Rugby Football Union in delivering the programs. The progress to date includes over 230,000 new rugby participants in Get Into Rugby programs across Japan with a further 200,000 schoolchildren in Rugby World Cup host cities introduced to tag rugby following its inclusion in the physical education curriculum of 1,982 schools in the Rugby World Cup host cities. Additionally, a total of 9,603 Tag Teachers were awarded licences after completing their training and are now skilled to lead tag rugby sessions. In programs coordinated by Asia Rugby, Impact Beyond projects implemented by Asian unions other than Japan, have so far attracted 470,000 participants, demonstrating the great enthusiasm and opportunity for the growth of rugby across the continent that is being stimulated by the catalyst of Japan hosting the Rugby World Cup in 2019. Launched in 2013, Impact Beyond is a major strategy in World Rugby's mission to grow the game globally, providing the platform for women and men, girls and boys to be introduced to the game. Creating a sustainable legacy is a central pillar in World Rugby's major event planning and the Impact Beyond program is playing a leading role in rugby's global growth story. World Rugby Chair Bill Beaumont said: "Japan 2019 is shaping up to be World Rugby's most successful legacy program to date and with one year still to go, is already setting a gold standard for engagement across the sporting spectrum. "Creating a sustainable legacy is a central pillar in our major event planning and delivering a tangible, long-term impact beyond the six-week event is critical to the event's success. Inspiring interest in rugby across Asia was one of the core reasons for bringing the Rugby World Cup to Japan and the Impact Beyond program is right at the heart of Rugby World Cup 2019. "It is a truly exciting time for rugby in Asia with fan-engagement, broadcast audiences and player participation numbers growing year-on-year. Impact Beyond 2019 is a project that Asia and the global rugby community can be very proud of and one that will make a lasting difference to millions of lives across the continent for many years and many generations to come. Our gratitude and appreciation goes to the many thousands of volunteers who regularly give their time to support Impact Beyond programs on the ground, they are the unsung heroes of Rugby World Cup 2019." An important element of World Rugby's legacy plan is a focus on bringing positive social change through the power of sport. 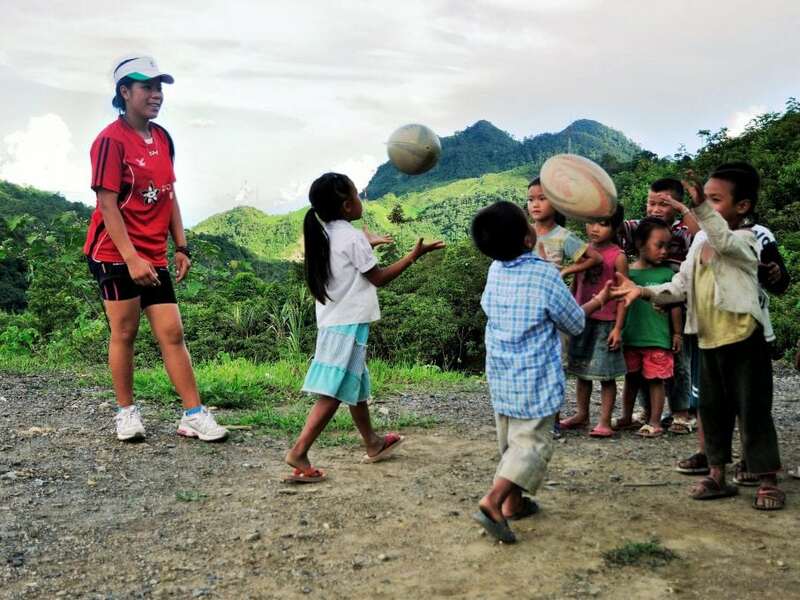 Announced earlier this month, the transformative partnership with ChildFund Pass It Back, will positively impact the lives of over 20,000 disadvantaged children in Asia, thanks to the support of Rugby World Cup fans who share in the values of the game. World Rugby CEO Brett Gosper commented on the launch of the partnership: "We awarded the Rugby World Cup to Japan because we knew that it could be a powerful game-changer for sporting and social change in Asia. As a transformational rugby for good program, ChildFund Pass It Back is the perfect embodiment of that objective and we are excited about the impact rugby can have on thousands of children within the world's most populous and youthful continent." The highly successful recent Rugby World Cup Trophy Tour visits to India, China, Hong Kong and the Philippines ahead of the three-month domestic tour of Japan have further highlighted the huge potential for the growth of rugby in Asia. In India alone, the Webb Ellis Cup was greeted enthusiastically by over 18,000 young people across Delhi, Mumbai and Bhubaneswar. Asia continued to embrace rugby in 2017 with a total of 721,800 girls and boys taking part in the Get Into Rugby program in 2017. Asia Rugby boasted the highest number of Get Into Rugby participants of all the regions, with an 18 percent increase on 2016. Asia is at the center of rugby's global growth success story and Rugby World Cup 2019 will be a fantastic celebration of the emergence of rugby across Asia. A recently published Nielsen report found there to be more rugby fans in Asia - 112 million - than any other continent, with China (33 million), India (25 million) and Japan (14 million) all ranking within the top ten nations globally.